Sik Pup Entertainment, Media4k and Cobblestone Creative are proud to announce a creative partnership with world-renowned survivalist Les Stroud to produce the feature film Broken Raven. The film will star Les Stroud, best known as the award winning producer and star of the hit TV series Survivorman in his first major motion picture. The film will be directed by Dickie Skinz (Hurricane Chasers). The screenplay was written by Boston native Hank Peña. Filming will begin this fall in Massachusetts. We are incredibly honored that Les has chosen to partner with us on this incredible project. We know that audiences will be as excited as we are. 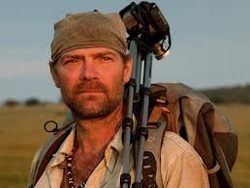 In the wake of an undead apocalypse, Les Stroud is commissioned by The President of the makeshift U.S. government to produce a survival training film to aid downed pilots inside infested areas.. It will also star John Popper (Blues Traveler) as the blind human cannibal Mitch. We are currently in negotiations for the female lead and supporting stars. The film will have an amazing score and soundtrack containing music by Stroud, Popper, Skinz and more. It is three years after the undead plague decimated mankind and what little government remains is holding on by fingernails. Les Stroud, despondent over the assumed loss of his son, accepts a nearly suicidal mission to produce a training film meant to aid downed pilots inside infested areas. Les is escorted to an infested town, where he is left alone to document his survival mission. Three friends fall in love with jet skiing and big surf in the ocean off Martha's Vineyard and Gloucester. Hurricane season is their favorite time of year when the storms roll up from the South and produce fierce action in the ocean. They keep going out on their jet skies in small craft advisories and Coast Guard warnings where they are the only people on the water. In the worst oceans they feel connected to the creator through the power of the oceans energy. Addicted to the feeling of flying off 10-20 foot waves they keep pushing the boundaries of safety trying to get higher and higher testing the ocean. They will need all the prayers from all the heavens if their addiction to adrenaline takes them too close to the edge and too close to the Great White Sharks. 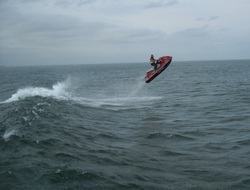 Dickie is currently directing the high flying Action film "Hurricane Chasers" filming in New England. 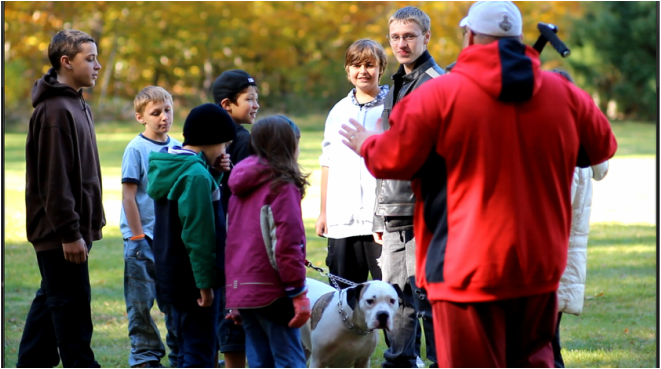 Dickie is also directing the action film Broken Raven starring (Survivorman) Les Stroud, John Popper (Blues Traveler) and more. He will also begin filming and directing a scripted golf TV Series " A Swing That's Pure" (Drama) and the short film "Loose Ends" (Action Thriller). He's also producing or directing additional movies this year "Left For Dead" (Thriller) and the Web series "Snatched" (Crime Drama). He's helped develop, film, finance and produce multiple reality series. His "No Cure For Stupid" album is slated for late winter.